In Pullman, WA, WSU football player got arrested for attempting to purchase wine and malt liquor with a bogus $20 bill. When the cops arrived he made a big brew-ha-ha and fought with the officers. The misdemeanor “actin’ the fool” charges were later dismissed. 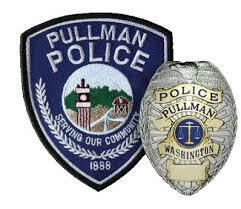 Upon seeking and finding a high moral lawyer the “victim” sued the Pullman police department for ruining his budding nfl career. What? In the federal suit this big pansy says..Officers prepared reports which intentionally misrepresented events…officers used a “significant level of violent force.” (Kinda like that phrase). Causing his client to have nightmares, afraid of the police, damage to his reputation, (yeah sure) blah, blah blah. What would it take to make this go away you ask? A mere 5 mil. Let’s all hope the city doesn’t cave. After reviewing the body cams and store surveillance it’s pretty clear who caused and furthered this little dust up. That’s right, the college footballer who lost his chance to become an nfl star whilst trying to use a phony 20 dollar bill to buy some wine and malt liquor.